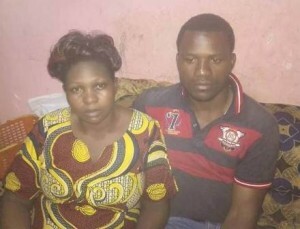 One Alfred Nkimih and his wife, Honorine Nshi, who lost four new born babies at the Yaounde Central Hospital, have blamed the tragedy on the lack of incubators at that health facility and on what Nkimih asserted in a write-up on his Facebook page as; wickedness and jealousy of the health personnel. Nkimih narrated that when his wife visited the hospital for follow-up that March 22; she had nothing to do with delivery because the pregnancy was only six months old. According to him, when the personnel insisted, his wife said they should then look for incubators, repeatedly stating that paying the bill will not be an issue. He said his wife was then induced through drips to labour and “she miraculously gave birth to the four kids all alive. Because of jealousy and wickedness, they packed them in a tray with no incubators. “Even the one incubator we succeeded to have at the Chantal Biya Foundation, they refused to give the babies to be put there,” Nkimih narrated. He added that when they complained, the response was that they should not teach them (health personnel) their job, just for the family to be handed the four dead babies in a plastic bag later. Meanwhile, as the news of the dead quadruplets went viral on the social media, the Director of the Yaounde Central Hospital, Prof. Pierre Joseph Fouda, in a declaration made available to the media on March 26, narrated the circumstances under which Nshi was admitted at the health facility until when she lost her babies and was eventually discharged. Prof. Fouda disclosed that Nshi, 20, married and living in the Carrière neighbourhood in Yaounde, was not in her first delivery because she is a mother of two. He said the pregnant lady who was received at the hospital on March 22, was coming to that health structure for the very first time. She had complained of painful uterine contraction that was on for over 12 hours on a pregnancy of five fetuses of 22 weeks four days. The Director said Nshi was immediately taken care of and from the test conducted, she had a complete dilatation. He said this called for and warranted an inevitable abortion in the hour that followed with the forceful removal of the fetus. Of the five fetuses, one was a “momifié” weighing 200gr, a still birth of 700gr and three others gasping at the time of forced delivery weighing 550gr, 570gr and 650gr, respectively. The three died five minutes later. Prof. Fouda argued that the maternity of the Yaounde Central Hospital has incubators that cater for the security of babies before their eventual transfer to the pediatric section, which is the final reception service for new born babies. “These fetuses were not viable,” he stated. Maintaining that the corpses were immediately handed to the family who signed them out on request by the lady, the Director said during her 48-hour stay in the hospital, she benefitted from all the required treatment of a person in her state and did not, at any one point in time, raise a complaint. He told the press that Nshi was carrying a highly risky multiple pregnancy as seen within the emergency framework of their maternity. “The adequate treatment assured by our hospital saved the life of the mother who is doing well and who went back to her family on March 24. Unfortunately, the fetuses could not survive considering the age of the pregnancy and their inferior weights at birth,” Prof. Fouda regretted. According to Fouda, the Yaounde Central Hospital remains at the service of users and would not spare any effort aimed at improving its services, reception and treatment. Meanwhile, in another posting on Nkimih’s Facebook, it was disclosed that his wife, who was doing her antenatal visits at the Yaounde Etoug-Ebe Baptist Hospital, was hinted of the quadruplets and the possibility of giving birth through a cesarean operation. The doctor also reportedly recommended that she follows subsequent check-ups at the Yaounde Central Hospital.